- High frequency spray . - Rechargeable power supply . 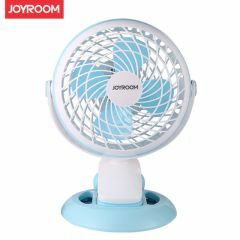 - Touch control panel : simultaneously start the fan and humidifier/only for humidifier/only for fan. - Low power consumption, caters to environment-friendly life style. - Adopts the latest metal atomization sheet, and it can break the water molecule into 1-3um particles. - Features 75 degree vertically angle adjusting. - Powerful wind brings you with the water particles which not only cool down your body but also moisturize the skin. - You can add proportional vinegar/mosquito repellent/essential oil into the water for killing the bacteria or improving the sleep quality. - Visible tank, which clearly shows the remaining water. - Rechargeable design, charge via the enclosed USB cable.